An IDU, or In-Door Unit, is a telecommunication device that is used in satellite television and Internet service to receive and decode satellite transmissions. An IDU is a box that connects to the user’s television and/or router and contains a built-in satellite receiver that may also be connected to a satellite dish on the roof or exterior wall of the user’s home. 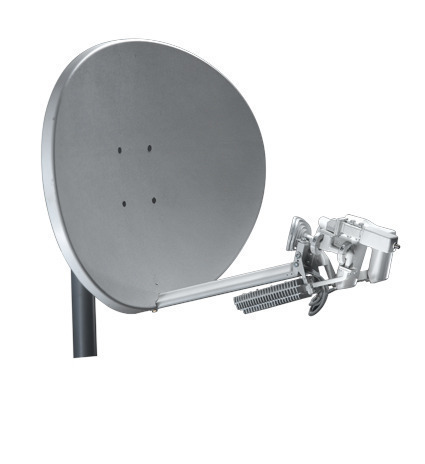 An IDU is responsible for receiving the satellite signals broadcasted by the user’s satellite service provider and decoding them in order to provide the user with satellite television and/or Internet access. When a satellite provider broadcasts a transmission, that data is received by a satellite in Earth’s orbit and retransmitted to a specific area on the Earth’s surface. Any satellite dish in that area that is setup to receive that transmission’s frequencies can then receive the transmission and convert it into electrical impulses that are sent to the user’s IDU. The IDU can then convert the information into digital data and display it on the user’s television screen or pass it through the user’s modem and/or router in order to provide the user with Internet access. An IDU is used solely for the purpose of receiving and converting satellite transmissions into usable data for television service and Internet access. While IDUs have been modified in the past to provide users with additional services, such as Pay-Per-View channels or non-related satellite-based transmissions, this is often illegal and may result in loss of the user’s regular services if the IDU becomes damaged. IDUs are advantageous because they sit near the user’s television and provide television and Internet access without being exposed to the open environment. IDUs are relatively easy to operate and can provide the user with services such as Channel Guide and On Demand. IDUs are also lightweight and do not usually need to be directly operated in order to provide services to the user. Its possible to connect directly with my Indoor unit and my PC or MODEM ? 269 queries in 0.542 seconds.